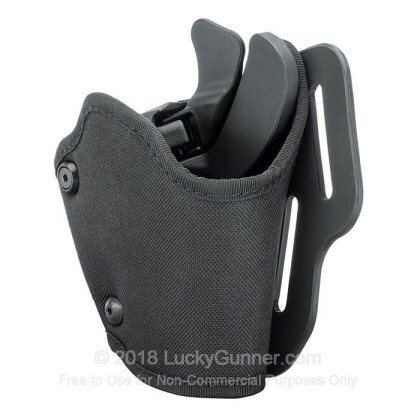 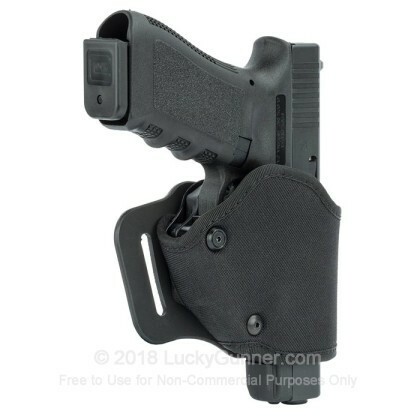 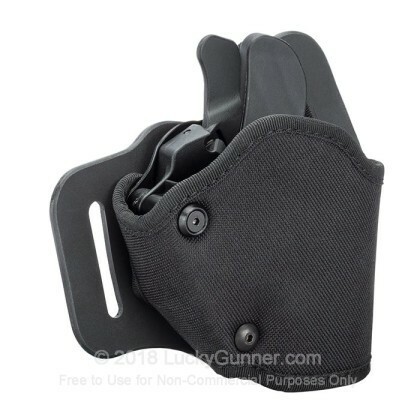 This GripBreak holster from Blackhawk features a thumb release that provides excellent retention yet deactivates quickly when the weapon needs to be drawn. 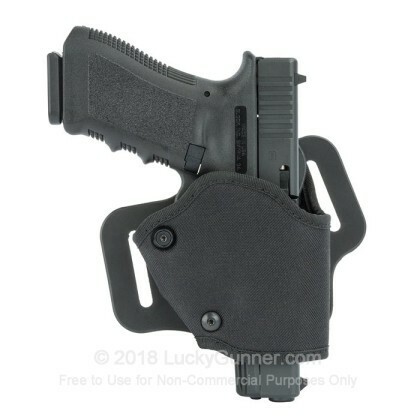 This particular model is a right handed version for the Smith & Wesson M&P pistol in 9mm and 40 S&W. 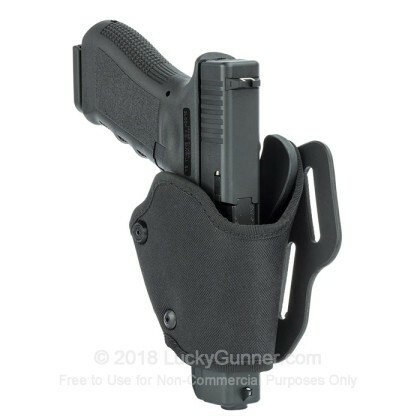 Each GripBreak holster is custom molded to a model of firearm (in this case the M&P) for maximum comfort, a quick draw, and easy re-holstering. 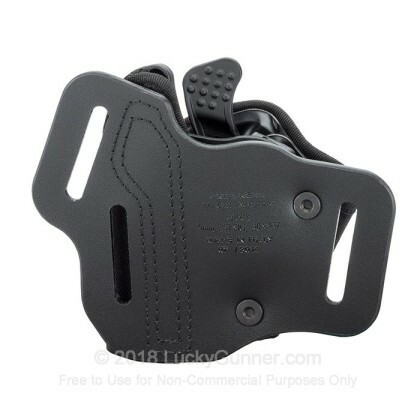 Blackhawk is a division of Vista Outdoor, a subsidiary of defense contractor Alliant Techsystems. 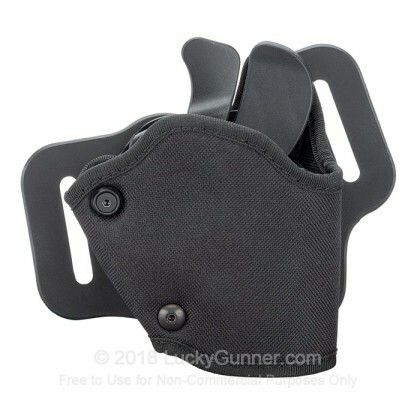 It was founded in 1990 by a former SEAL and sells a wide variety of tactical gear and accessories.